The Door Knocker Company Ltd is a UK based period hardware supplier - which we'll refer to as 'The Door Knocker Company' in this document. For simplicity throughout this notice, 'we' and 'us' means The Door Knocker Company Ltd and its brands. 2. Why Personal Data is Collected. In certain circumstances, we need your personal data to comply with our contractual obligations. For example, if you order an item from us for home delivery, we'll collect your address details to deliver your purchase, and pass them to our 3rd party courier. If the law requires us to, we may need to collect and process your data. For example, we can pass on details of people involved in fraud or other criminal activity affecting The Door Knocker Company Ltd to law enforcement . For example we combine the shopping history of many customers to identify trends and ensure we can keep up with demand, or develop new products/services. When you make an online purchase and check we collect transaction-based data. When you make an online purchase, your name, billing/delivery address, orders and receipts, email and telephone number are collected. We only use your personal data to process your order which means, in some cases, passing your data to a 3rd party courer in order to deliver your order. Of course, if you wish to change how we use your data, you'll find details in the 'What are my rights?' section below. Remember, if you choose not to share your personal data with us, or refuse certain contact permissions, we might not be able to provide the services you've asked for. For example, if you've asked us to let you know when an item comes back into stock, we can't do that if you've withdrawn your general consent to hear from us. To process any orders that you make by using our websites, via telephone or in person. If we don't collect your personal data during checkout, we won't be able to process your order and comply with our legal obligations. For example, your details may need to be passed to a third party to supply or deliver the product or service that you ordered, and we may keep your details for a reasonable period afterwards in order to fulfil any contractual obligations such as refunds, guarantees and legal obligations to the inland revenue. Whenever we collect or process your personal data, we'll only keep it for as long as is necessary for the purpose for which it was collected. At the end of that retention period, your data will be deleted. Orders. When you place an order, we'll keep the personal data you give us for six years so we can comply with our legal and contractual obligations. We sometimes share your personal data with trusted third parties. For example, delivery couriers, for fraud management, to handle complaints. Google, Twitter, Instagram, YouTube, Yahoo, Pinterest, Facebook. If we do this, we have procedures in place to ensure your data receives the same protection as if it were being processed inside the EEA. For example, our contracts with third parties stipulate the standards they must follow at all times. If you wish for more information about these contracts please contact our Data Protection Officer.Any transfer of your personal data will follow applicable laws and we will treat the information under the guiding principles of this Privacy Notice. You have the right to request a copy of any information about you that The Door Knocker Company holds at any time, and also to have that information corrected if it is inaccurate. To ask for your information, please contact Data Protection Officer, 4 High Street, Church Stretton, Shropshire. 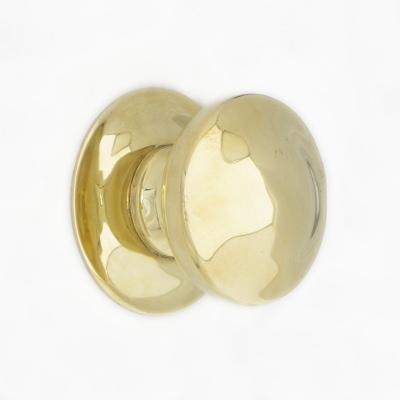 SY6 6BU, or email info@thedoorknockercompany.co.uk. To ask for your information to be amended, please update your online account, or contact our Customer Services team. If you feel that your data has not been handled correctly, or you are unhappy with our response to any requests you have made to us regarding the use of your personal data, you have the right to lodge a complaint with the Information Commissioner's Office. You can contact them by calling 0303 123 1113. Or go online to www.ico.org.uk/concerns (opens in a new window; please note we can't be responsible for the content of external websites) If you are based outside the UK, you have the right to lodge your complaint with the relevant data protection regulator in your country of residence. Details can be found in Section 16. Sometimes we'll need to transfer your personal data between countries to enable us to supply the goods or services you've requested. In the ordinary course of business, we may transfer your personal data from your country of residence to ourselves and to third parties located in the UK. By dealing with us, you are giving your consent to this overseas use, transfer and disclosure of your personal data outside your country of residence for our ordinary business purposes. This may occur because our information technology storage facilities and servers are located outside your country of residence and could include storage of your personal data on servers in the UK. 13. Where do the cookies come from? So that we can measure the popularity of products, where people come from and other general statistics, we use Google Analytics's. It may store cookies to track new and repeat visitors. It does not contain any detail on who you are. When you are using The Door Knocker Company website, The Door Knocker Company Ltd is the data controller.